Spread the word of PEACE with this lovely and inexpensive necklace. 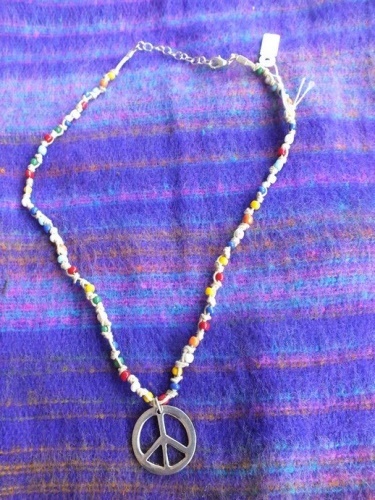 Beads with all the colours of the rainbow and a metal Peace sign pendant. Has a clip to fasten necklace at the back. 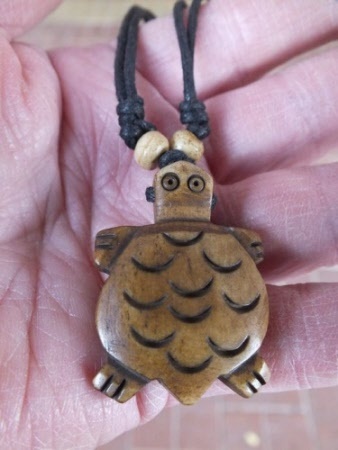 Lucky Turtle pendant with adjustable cord. One size fits all. 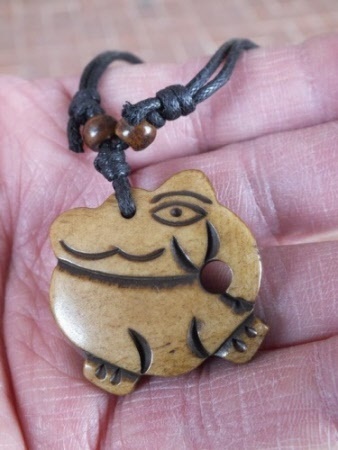 The lucky Turtle is beleived to bring luck and money. 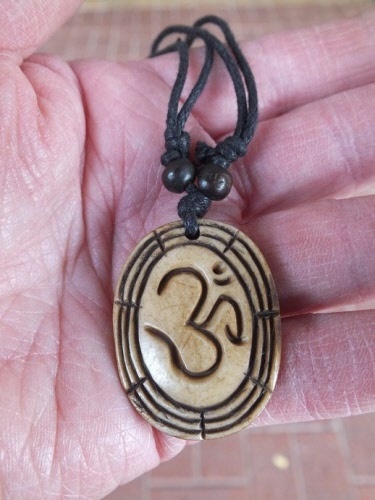 Ganesh pendant with adjustable cord. Ganesh the remover of obstacles is also the Hindu God of wisdom and learning. 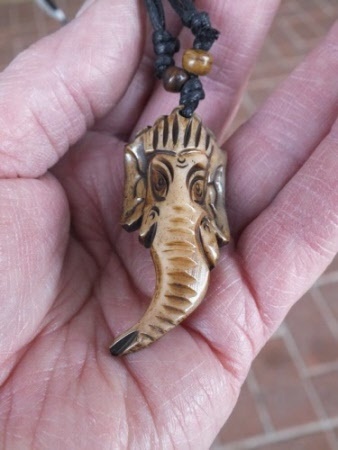 Elephant pendant with adjustable cord. Ideal gift for the elephant lover in your family. Endless Love Knot Pendant with adjustable cord. 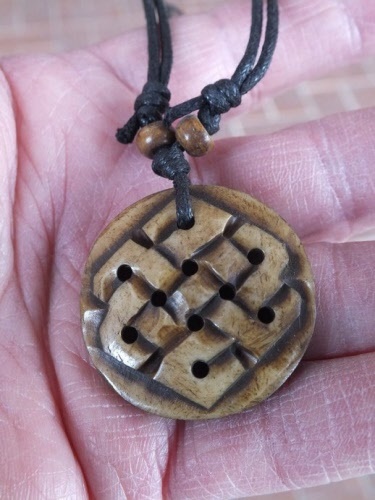 The Endless Love Knot is one of the Eight Tibetan Buddhist Lucky symbols. It is also the symbol of eternal love. 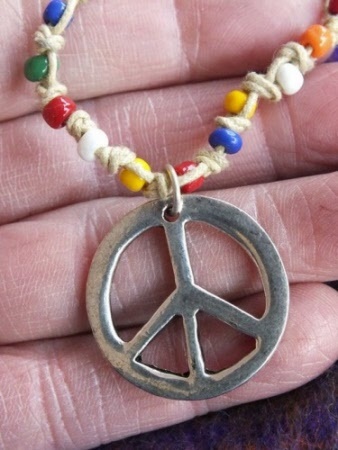 The knot has no begining or end and it also symbolizes the Infinite Wisdom of the Buddha. 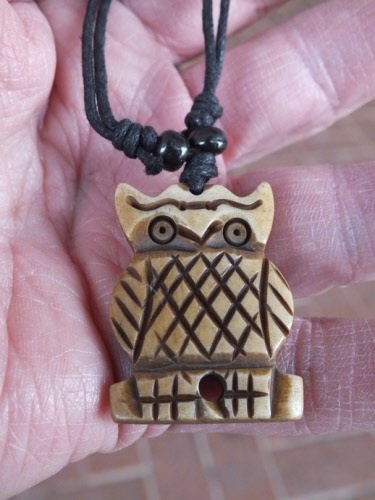 Cute little Lucky Owl pendant with adjustable cord. One size fits all.